The complete User Manual for all Roaming Components. Includes specific instructions and examples for the usage of TAP2ASCII, ASCII2TAP, TAP2XML, XML2TAP, TAPAnonymizer, TAPValidator, TAPMerger and TAPSplitter. 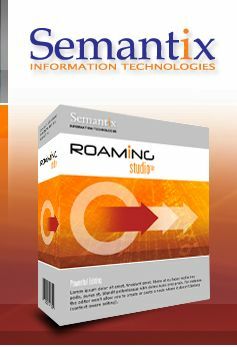 A complete guide in the usage of Roaming Studio. Learn how to work with TAP3 files: editing, searching, converting, merging, anonymizing, spliting and a lot more. A complete description of the process employed to develop TAP2ASCII export modules for arbitrary output formats and output targets. This is the document to read to learn the TAP3 reading API offered by TAP2ASCII. A complete description of the process employed to develop ASCII2TAP import modules for arbitrary input formats and input sources. This is the document to read to learn the TAP3 mapping API offered by ASCII2TAP. Users of Roaming Components can use this directory monitoring script. It will identify incoming new files, and can thus be used to trigger Roaming Components processing on files arriving in a directory. It can be used for example to check an incoming FTP directory for new TAP3 files and perform one-time-only work on them (e.g. calling TAPx2TAPy to convert them and place them in another directory, or validating them with TAPValidator, etc).